purchase lasix reference John Wilson Minick was born in Wall, Pennsylvania on June 14, 1908. He was living in Carlisle, Pennsylvania when he was drafted into the United States Army on February 8, 1943. Minick fought in Europe as an infantryman with the 121st Infantry Regiment of the 8th Infantry Division. 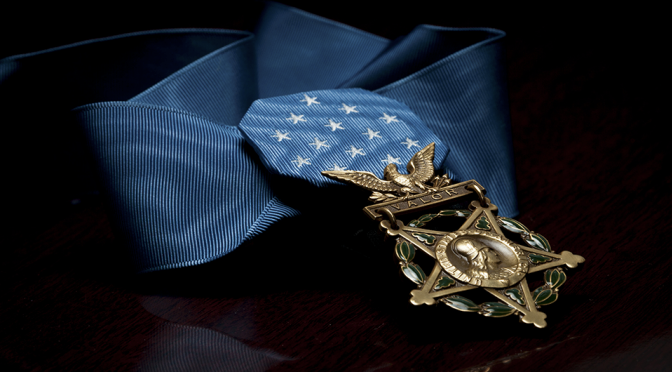 Then-Staff Sergeant Minick earned the Medal of Honor for his valor above and beyond the normal call of duty on November 21, 1944 during the Battle of Hürtgen Forest. On that day, Minick advanced and attacked alone or with nominal support across a minefield, took out several enemy positions held by superior numbers, and was killed as he attempted to advance through a second minefield. Rank and organization: Staff Sergeant, U.S. Army, Company I, 121st Infantry, 8th Infantry Division. Place and date: Near Hurtgen, Germany, 21 November 1944. Entered service at: Carlisle, Pa.
Citation: He displayed conspicuous gallantry and intrepidity at the risk of his own life, above and beyond the call of duty, in action involving actual conflict with the enemy on 21 November 1944, near Hurtgen, Germany. S/Sgt. Minick’s battalion was halted in its advance by extensive minefields, exposing troops to heavy concentrations of enemy artillery and mortar fire. Further delay in the advance would result in numerous casualties and a movement through the minefield was essential. Voluntarily, S/Sgt. Minick led 4 men through hazardous barbed wire and debris, finally making his way through the minefield for a distance of 300 yards. When an enemy machinegun opened fire, he signaled his men to take covered positions, edged his way alone toward the flank of the weapon and opened fire, killing 2 members of the gun crew and capturing 3 others. Moving forward again, he encountered and engaged single-handedly an entire company killing 20 Germans and capturing 20, and enabling his platoon to capture the remainder of the hostile group. Again moving ahead and spearheading his battalion’s advance, he again encountered machine gun fire. Crawling forward toward the weapon, he reached a point from which he knocked the weapon out of action. Still another minefield had to be crossed. Undeterred, S/Sgt. Minick advanced forward alone through constant enemy fire and while thus moving, detonated a mine and was instantly killed. Minick’s remains were repatriated to the United States. He rests in peace today in the Westminster Memorial Gardens in Carlisle.